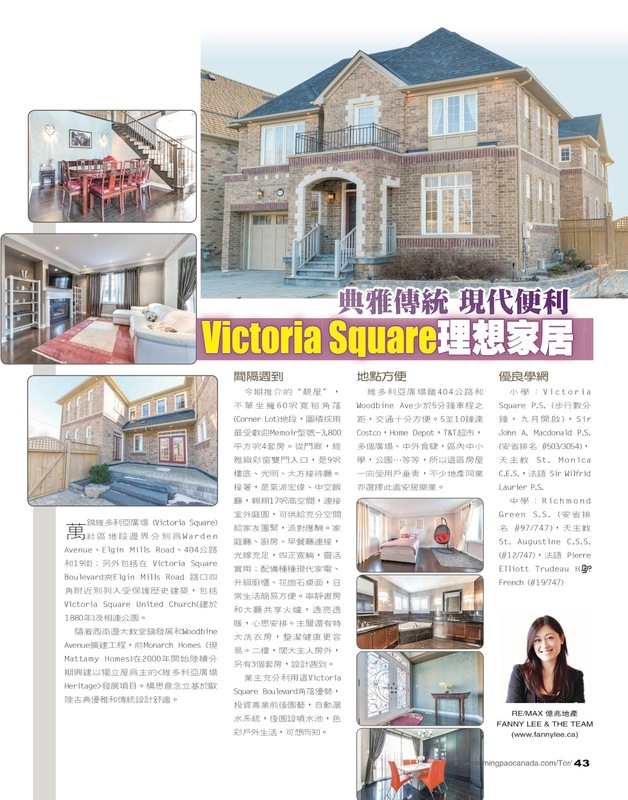 In an earlier published article on Ming Pao Property Goldpage, we briefed the readership about #Markham's #VictoriaSquare neighbourhood featuring 10852 Victoria Square Blvd. Here is the content if you missed it. 小學: Victoria Square P.S. (步行數分鐘，九月開啟), Sir John A. Macdonald P.S. (安省排名 #503/3054), 天主教 St. Monica C.E.S., 法語 Sir Wilfrid Laurier P.S.